The Hustler Hollywood retail store has a new lease and a new location, but it didn’t go far. The adult retail shop’s new location is 8873 W. Sunset Boulevard, WeHoville reported. The store will occupy about 5,100 square feet at $75 per square foot per year, according to Newmark Knight Frank, which handled the lease. The building is registered to a trust that is owned by Saeed and Shahla Hakakzadeh. Newmark brokers Jonathan Dadourian and David Ghermezian advised on the deal. The retail store is about 400 feet from its former location, at 8920 Sunset Boulevard. That store will be taken over by the members-only Arts Club — a development by London & Regional Properties and VE Equities. The 120,000-square-foot project designed by Gensler was approved by the city of West Hollywood last August. The Arts Club is backed by Gwyneth Paltrow, and will include private restaurants, bars, screening rooms, office space, fitness center, spa and art gallery. 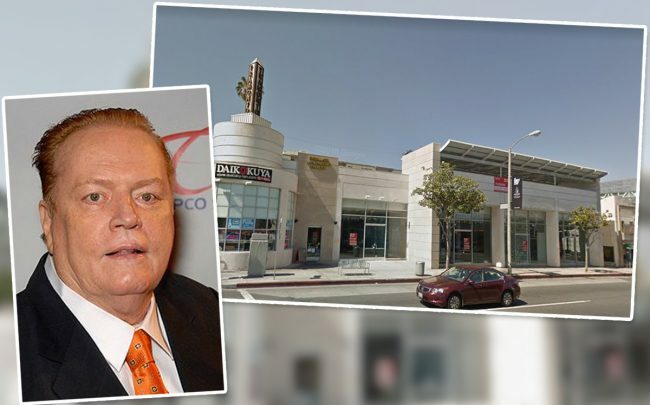 The owners purchased the site from Hustler founder Larry Flynt for $18.3 million in 2015.